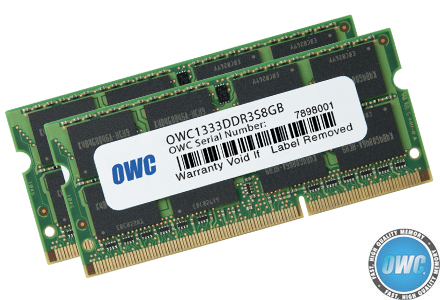 OWC recently announced new 16GB memory upgarde kit for Apple latest 2011 MacBooks consisting of two 8GB DDR3 1333MHz RAM. This of course, will cost you a whopping $1,600, yes you can buy a second MacBook for that kind of money. The maximum memory upgrade offered by Apple is 8GB of RAM and OWC also offers a 12GB upgrade kit consisting of one 8GB module and one 4GB module for $880. The kits are available now.